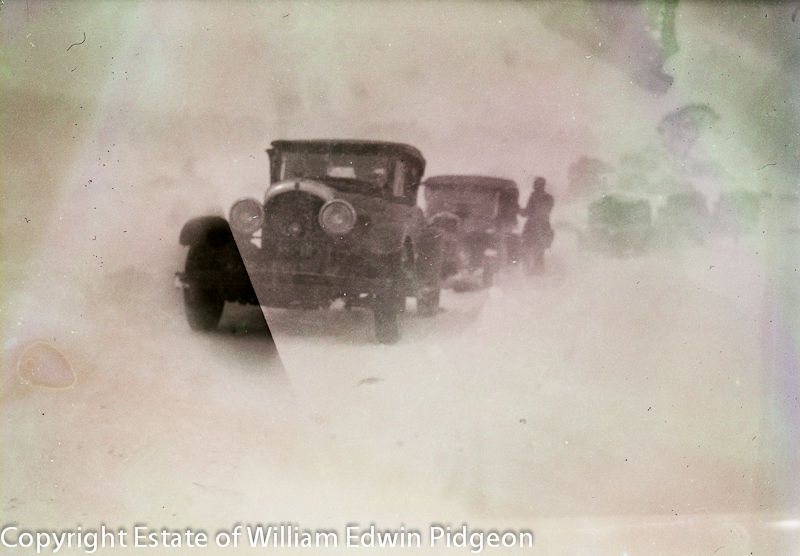 Members of the Millions Club party to Kosciusko had a terrifying experience on Saturday morning when they had to abandon their cars and walk through a blinding snowstorm to the hotel. Their cars laden with luggage are now practically buried by the roadside with snow piled up on either side. One of them is covered with a foot or more of snow. 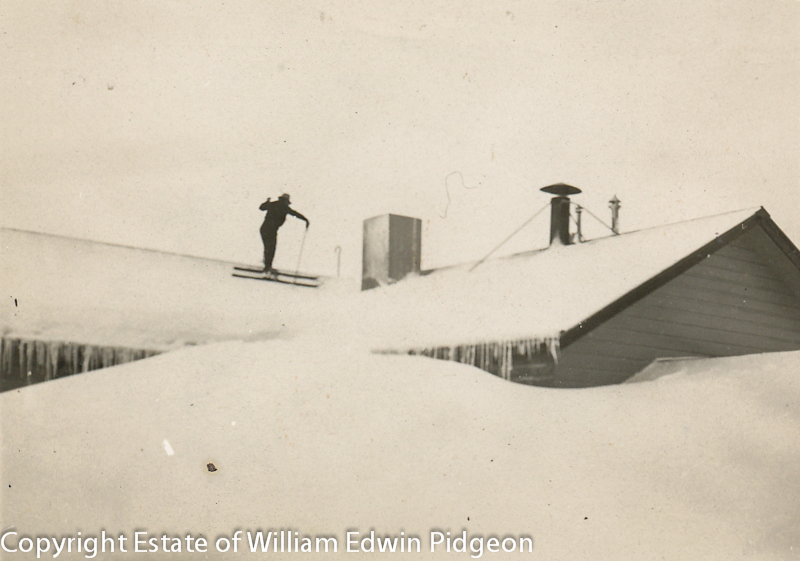 A blizzard is raging around the hotel and the manager (Mr. Speet) stated last night that the conditions are worse than any he had experienced during the past 17 years. A large party of holiday makers who were to have returned to Sydney yesterday are still in the hotel and it is now unlikely that they will reach Sydney before to-morrow. The Millions Club party left Cooma in the morning for Kosciusko and when the service cars reached Rennox Gap the foremost car broke down. The driver had been warned against attempting the ascent. The snow plough from the hotel, which was immediately behind the car also broke down after attempting to clear the road. Heavy snow was falling at the time and a bitterly cold wind was blowing through the gap. Some of the cars behind were held up and could neither proceed nor turn back. The passengers, who numbered 115, were told that they were only about a mile and a half from the hotel and about 85 of them set out for the shelter. The other 30 turned back and were driven down to the Creel. Many of the holiday-makers were dressed in clothing utterly unsuitable for the prevailing conditions and they staggered blindly against the driving snow that was whipped into their faces by the wind. 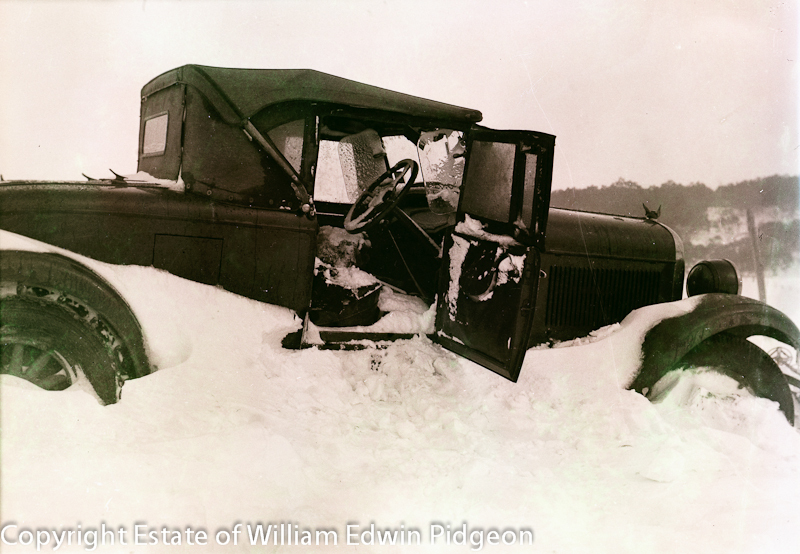 Women with silk stockings and light leather shoes suffered intensely and staggered through snow that covered the road to a depth of two and three feet. Experienced skiers went ahead and warned the hotel management of the accident. A horse sledge, laden with shoes, skis, rugs and food, was rapidly despatched to the scene and scores of holiday-makers at the hotel left to render assistance. Many members of the party made for a workman’s hut, where a fire was lit and where they waited for assistance. The others trudged through the clinging snow, keeping together in small parties, bending down to escape the win’s fury and the blinding snow that clung to their faces and covered their shoulders with particles that rapidly turned to ice. Several women were badly affected by the conditions, and the sledge picked up the most exhausted and carried them on to the hotel. It was late in the afternoon before the last of the visiting party reached their destination. One woman, who was lightly clad, was badly affected but she quickly responded to treatment. Another, a boy, was frostbitten slightly, and throughout the arduous journey other members rubbed his hands to restore circulation. 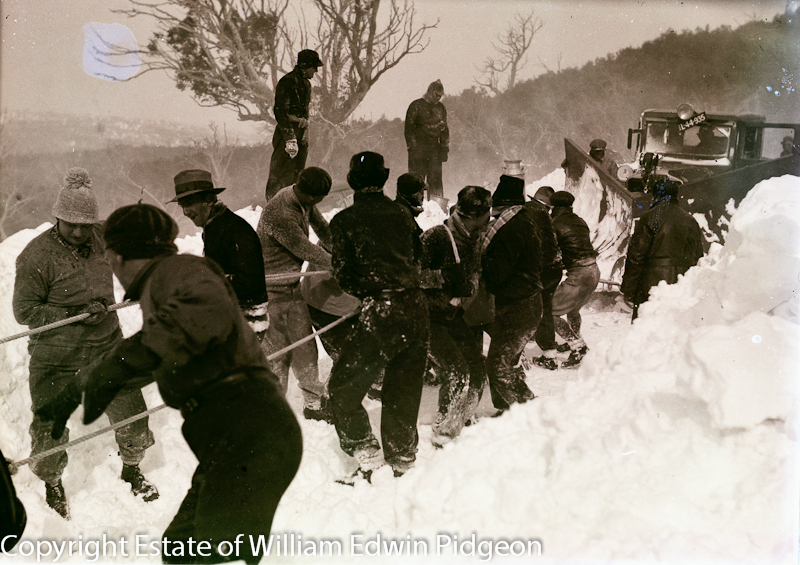 Owing to the rigorous conditions it was impossible for people who had been staying at the hotel, and who were to have returned yesterday, to attempt the journey to Cooma, and it is unlikely that any one will be per- mitted to leave to-day. The Hotel Kosciusko is crowded to capacity as a result of the blizzards which have been sweeping the district since last Thursday. The picture theatre has been turned into a dormitory, and all the lounges and the manager’s private office, are being used as bedrooms. The luggage of the majority of the Millions Club party members is still on the service cars, and will probably not be rescued until to-day. In the meantime they are being assisted by other residents at the hotel. All efforts to dig the seven stranded cars from the drift that now encompasses them have failed. Throughout Saturday night three men worked assiduously digging out the snow plough. They cleared it ultimately, but the machine broke down again and as a result of the intense cold, they were forced to abandon their attempt. 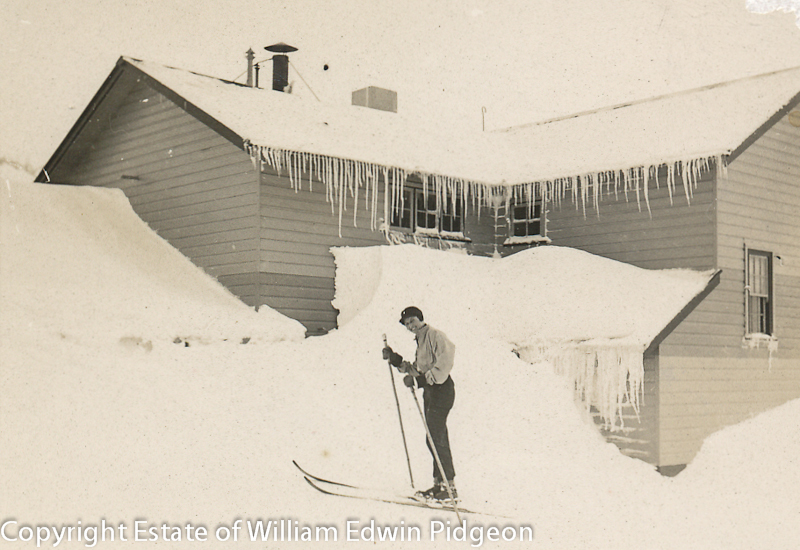 The manager of the hotel, Mr Speet, stated last night that never before at Kosciusko had he experienced such conditions. The wind raged about the hotel throughout the week- end at a velocity approaching 70 miles an hour. 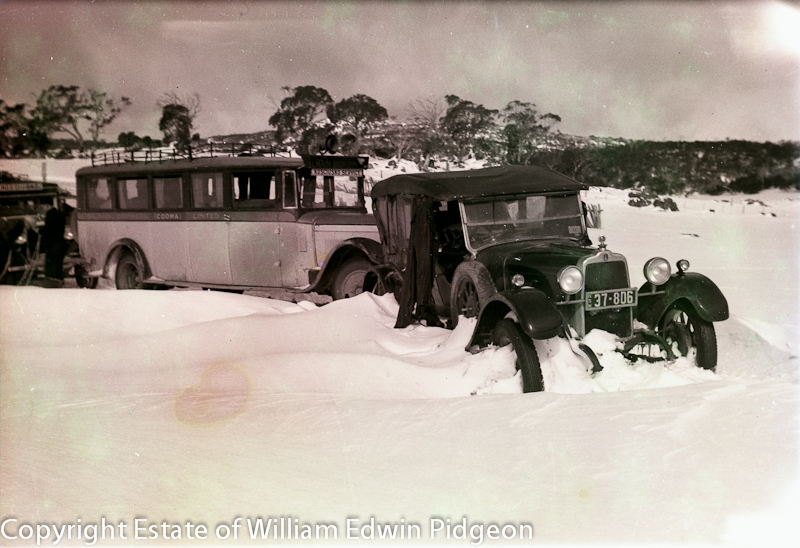 The road was covered in places with five feet of snow, and until the snow plough was working again the hotel would be cut off from Cooma. The Chalet was entirely covered. At the present time there is a total number of 289 people accommodated at the hotel, Betts Camp and the Chalet. 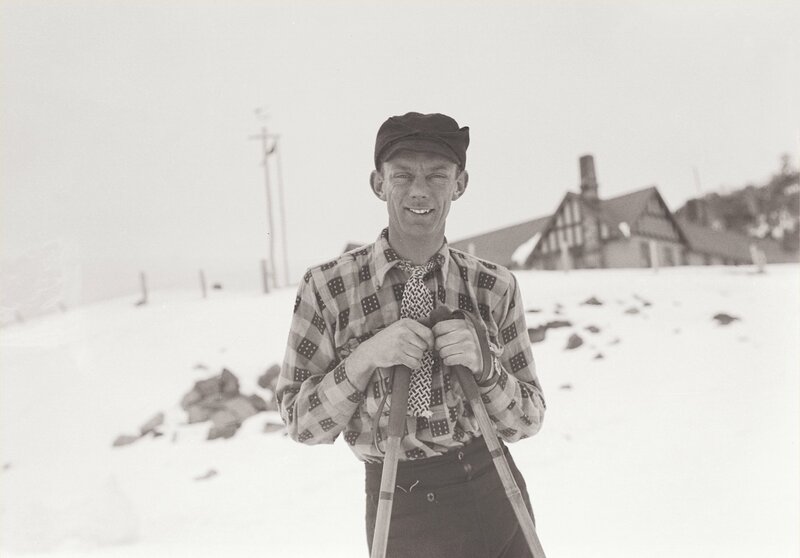 Yesterday afternoon, Arthur Hill, a member of the Millions Club party, broke one of his legs when his skis crossed while he was coming down the Grand Slam.